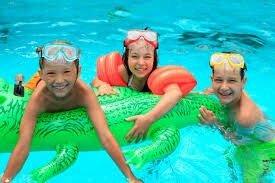 Gather friends and family for a swim spa party or let the kids splash up some fun with these exciting to play water games. 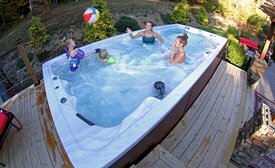 With a PDC Spas swim spa, anytime is a great time to let loose with family and friends in the convenience of your home or backyard. This easy to play, classic water game is the perfect go to game for all ages. To start, a player designated as “It” has to close their eyes and count to a number of your choice, while the other players scatter to find a spot to “hide”. When the count is over, (and without peeking) the “It” player’s job is to find the other players in the spa by sounding off “Marco” then trying to “tag” the players as they return with the call, “Polo”. 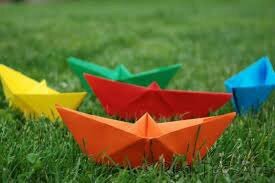 Using paper, cardboard, popsicle sticks, tape, glue or other craft supplies, build a boat worthy to brave the waves. Be creative and express each “captain’s” individuality with markers and stickers for decoration. (Don’t forget to name your vessel!) When ready to race, line the boats up current side of the spa, and turn on the jet/propulsion. The fastest and first boat to reach the end of the swim spa wins the race. Visit Pinterest for boat ideas. Form teams or battle one on one as you bust out your best dance moves in the water. Select judges or perform for fun with awards for the funniest choreography, best original move, or interpretative dance styles. Turn up the volume and the fun with your favorite songs, waterproof props and costumes. Fun for the whole family, including youngsters, this version of volleyball uses an inflatable beach ball. No net required! Simply separate to each end of the spa and start the volley. To create a simple “net” use a noodle or lay a towel over the edge near the middle as a center guide. A game of patience and skill…do you have what it takes to balance a ping pong ball on top of a floating pool noodle? To get started, simply cut up a pool noodle into 2 1/2 inch thick pieces, trying to keep the cuts as straight as possible so that the “mini” noodles will balance evenly on the water surface. Add the mini pool noodles, ping pong balls and a few players to the water to start the battle of balance. Try different techniques to keep your ping pong ball afloat the noodle boat. Try placing the noodle in the water first, or balancing the ball then carefully placing the noodle on top the water. Whoever successfully floats their ping pong ball the longest wins! All you need is one inflatable crocodile and players willing to unleash their inner “Mick Dundee”. Grab someone to judge the contestants and give points for wildest move, most aggressive croc and showmanship. Whoever collects the most ping pong balls wins! All you need is a large amount of ping pong balls and a few containers to collect them in. Scatter the ping pong balls across the spa, then each player gets in and tries to gather as many balls as they can. Mix things up a bit by assigning values to the balls, then total the points or mark one ball with a colored dot and the first person to find the unique mark, wins automatically. Up for a challenge? Turn on the swim jets to move the targets and make the game harder. Grab a noodle and playfully battle your opponent. Use your imagination to be pirates with swords, fencing in the Olympics or trained defenders of the Galaxy with your light sabers. Anything you can do, I can do (in a swim spa). The first player performs a trick or task, then the following player(s) try to repeat it. If someone cannot duplicate the action, they receive a letter. The first person to spell “FISH”, loses the game.